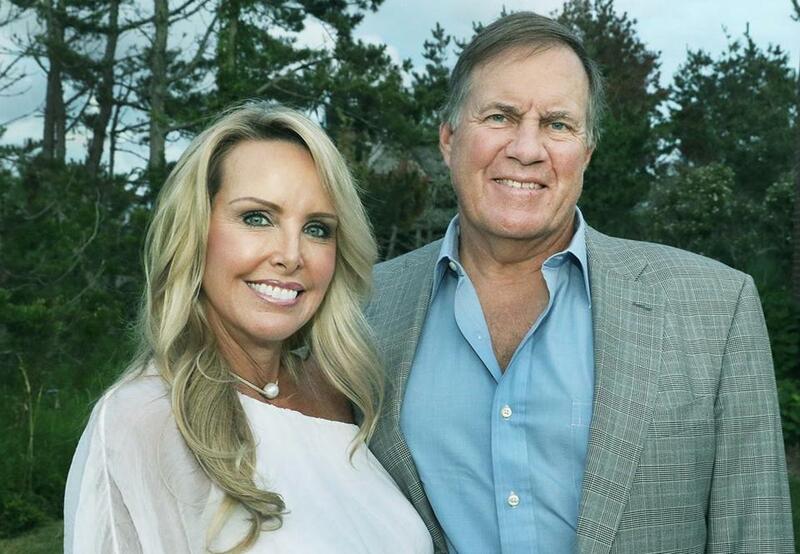 Linda Holliday and Bill Belichick. They were ready to celebrate in style. On Sunday, hours before the Patriots suffered an ego-bruising loss to the Eagles in Super Bowl LII, Bill Belichick’s longtime girlfriend Linda Holliday was decked out in support of the team — and her man. In a brief video posted to Twitter, Holliday, who is also the director of the Bill Belichick Foundation, wore a jacket with “Belichick” encrusted in rhinestones across the back. She is seen shimmying alongside Camille Kostek, a former Patriots cheerleader who has been linked to tight end Rob Gronkowski. Kostek also sported sparkles for the big game, with a Patriots “Flying Elvis” logo on her cropped jacket. Alas, their revelry was short lived, as the Patriots lost to the Eagles 41-33. But given how tough the Patriots are year after year, the bedazzled devotees will surely have more chances to don the garb.